Finally able to escape when a stranger, hearing her calls, removed the debris, it wasn’t her house she was worried about, it was her cat. 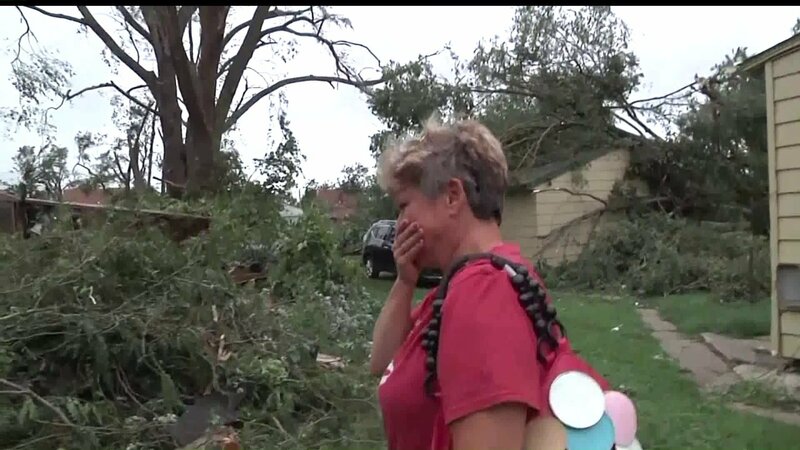 Trapped in her home by fallen trees, Cara Jackson, finally able to escape when a stranger, hearing her calls, removed the debris. But it wasn’t her house she was worried about, it was her cat. Kitten in Cubicles = Office Fun! So glad kitty was found.